There is a fresh call from the UN chief for dialogue over Gaza, but no word on progress on his efforts to broker a truce. After talks in Tel Aviv, Ban Ki-moon did not repeat specific concern he voiced earlier about the high number of civilian Palestinian casualties. 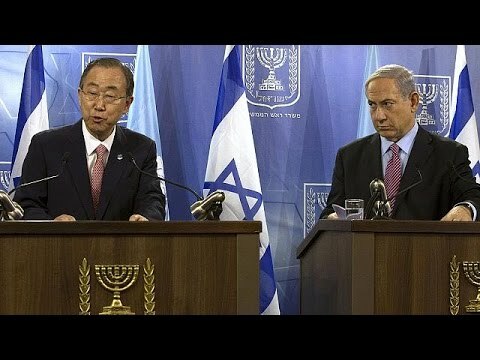 “Too many Palestinian and Israeli mothers are burying their children,” said the UN Secretary General, standing alongside the Israeli PM. This entry was posted on Wednesday, July 23rd, 2014 at 1:38 pm and is filed under INTERNATIONAL SECURITY. You can follow any responses to this entry through the RSS 2.0 feed. Both comments and pings are currently closed.